Today I am going to review a product I have been sent by Mobile Fun. I have reviewed products for Mobile Fun before, (remember my Pocket Boom Review?) and as in the past, this review is going to be completely impartial. The first impressions you get of a product are usually formulated by how you view the packaging, so I thought I would spend a moment to talk about how the case arrived. The case was posted to me First Class in a standard padded envelope. It arrived in perfect condition, so no complaints from me there. The package in which the case was held was more substantial than I had expected. I have had mobile phone cases come in the post which were simply inside a polythene bag, but this case came in a box! Pros of this are that it probably added an extra layer of protection – not that it really needed it though – and that it looks bright colourful and gives you a little information about the product. From an environmentalists perspective however, one could argue that it is an unnecessary use of packaging, which is probably going to end up in landfill. I shall be recycling what I can. 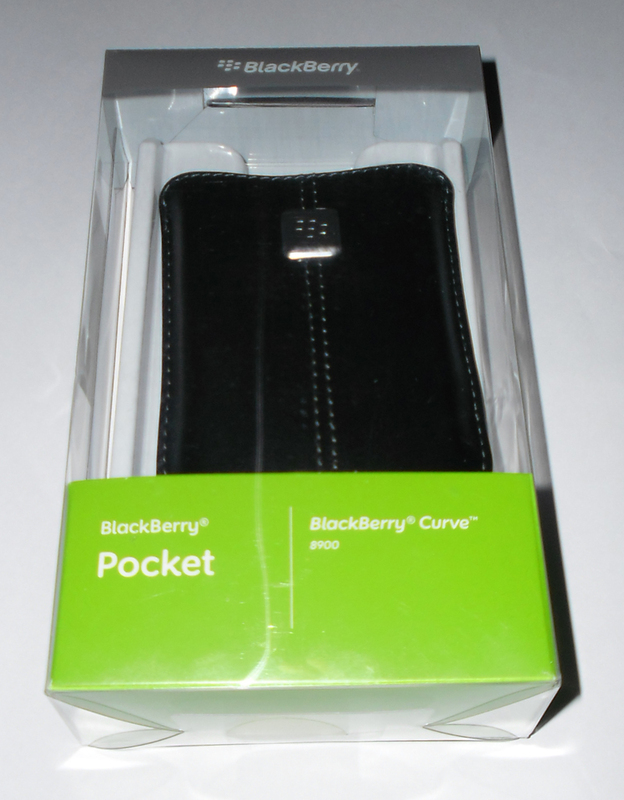 When I opened the box, the case had a BlackBerry sized piece of foam inside it, probably just to ensure it kept its structure during transit. Other than to protect your phone, the main function of a mobile phone case is (arguable) to look good. I really like the design of this particular case, I think it has a slightly more stylish design than the standard BlackBerry case, with neat stitching down the sides, and the middle of the case. 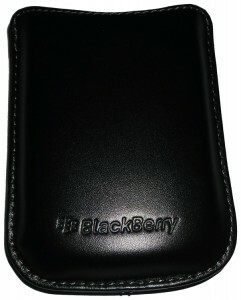 The case displays the BlackBerry logo, like the standard BlackBerry case does, but unlike the standard BlackBerry case, it is mounted on a metal adornment. The adornment is a stylish touch, but could potentially scratch a surface (say a glass table) if you put it down, adornment side down. 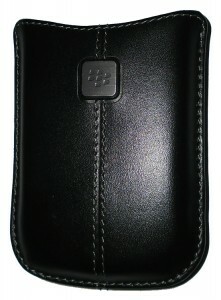 The case also had the word ‘BlackBerry’ written at the bottom on the reverse side. 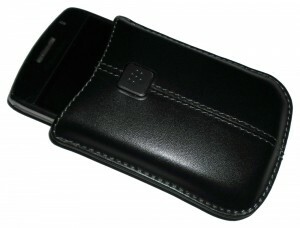 The case is made of real leather, so is very sturdy and flexible. One of the problems I found with the standard case was that it was made of vinyl, not real leather, so after continued use it started to look worn and split. I have been using this case for a few weeks now and it still looks pretty much the same as when it arrived. I would definitely recommend a leather case like this one over a vinyl one as it is more hard wearing. The case feels very sturdy, and (although I haven’t tested it) I am sure it would protect my phone were I to drop it from a reasonable height. The structure feels rigid enough to keep the phone safe, but I am not going to try, just in case! The BlackBerry Curve 8900 has a feature that it will turn the screen off and go into power save when inserted into the case. This feature works with the standard case, and with this particular case, thanks to the inbuilt ‘proximity-sensing technology’. From what I understand there is a magnetic chip in the case which when the phone senses it, it turns on power save – proximity-sensing technology does sound a little cooler though! 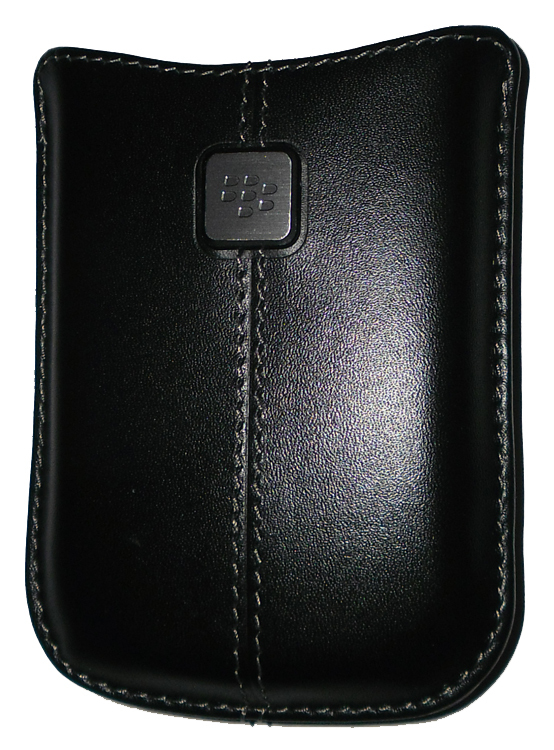 Overall I really like the case, I think it is a stylish, more hard wearing alternative to BlackBerry’s standard case for the Curve 8900. To find out more about this case, please check it out on Mobile Fun’s website.